Why Do Cats Stop Covering Their Poop? Our pet cats usually cover their poop. This habit is one of the reasons that many owners opt for a cat when deciding to get a pet. But, why do some cats stop covering their poop? According to feline experts, feral cats mainly do not cover their feces. On the contrary, they leave the feces uncovered in the most visible place. The goal is simple – to mark their territory and to dominate. The same thing is with outdoor cats. They will cover their poop in the close proximity of their homes. But, the further they go, the less they will try to hide the feces. They behave similarly to feral cats for the same reasons. However, when a pet cat who regularly covers poop suddenly stops doing that, it might be the sign of pain or illness. 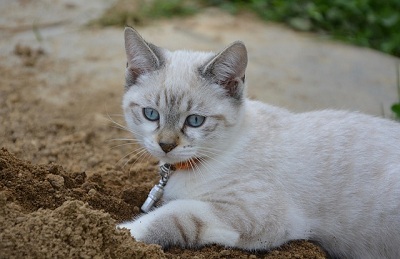 Namely, cats who experience difficulties when defecating or have the urinary tract issue will not cover their waste. For that reason, recommend visiting a vet when such a problem appears. To find out more about why do cats stop covering their poop, the article “Why Does My Cat Not Cover Her Poop?” gives us the following explanation. If there are no medical issues, the problem may be behavioral. In the wild, cats cover their stool to hide their trail so predators can’t track them. One theory as to why cats don’t cover is that indoor cats have figured out that this need no longer exists. Another theory is that not covering their stool is the result of “bad parenting,” or no parenting. Some kittens just never learn to cover their waste. Some experts believe that not covering waste makes a territorial statement. In a recent Vetstreet article, Dr. Katherine Houpt, a certified applied animal behaviorist at Animal Behavior Consultants of Northern Michigan, explains that cats prefer to eliminate in their own territory, noting that even an indoor cat who’s lived in the same place for a long period of time still may not feel as though the home is truly her territory. “The smell lets other cats know ‘I’m here,.’ ” says Dr. Houpt. Sometimes, when a cat stops covering her poop can be a sign of a litter box problem. A dirty litter box or its location might cause the problem. Moreover, when a litter box becomes too small and a cat gets hardly into it, may result in her unwillingness to cover waste. Sometimes, texture or smell of the litter might be the cause. Cats who have painful paws or declawing cats might avoid covering the feces for obvious reasons. Thus, whenever a cat stops covering her poop, the first thing to do is to consult a vet and exclude a possible medical problem. Only then, we may go on and discover why she stopped covering feces. Tags: Why Do Cats Stop Covering Their Poop? Next story What Are the Signs of Cat’s Affection? Previous story What Treats Are Bad for Cats?